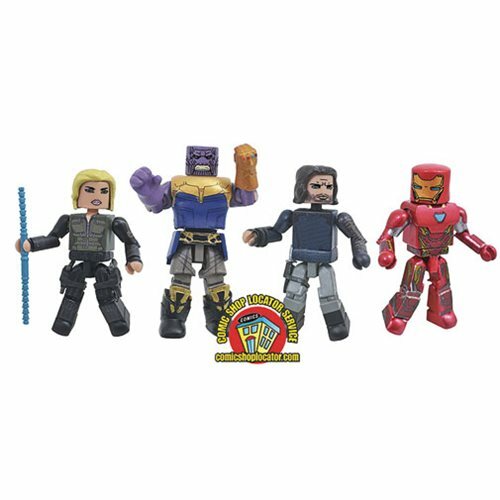 This Minimates box set features Iron Man in his Mark 50 armor, Thanos with his Infinity Gauntlet, and two exclusive characters - Black Widow and the Winter Soldier! Each Minimates mini-figure measures approximately 2-inches tall with 14 points ofarticulation, as well as fully interchangeable parts and accessories and a display stand. Packaged in a full color window box. Ages 14 and up.